Prior to disassembly, inspect upper receiver and barrel assembly to determine type of front sight installed, standard or low light level. 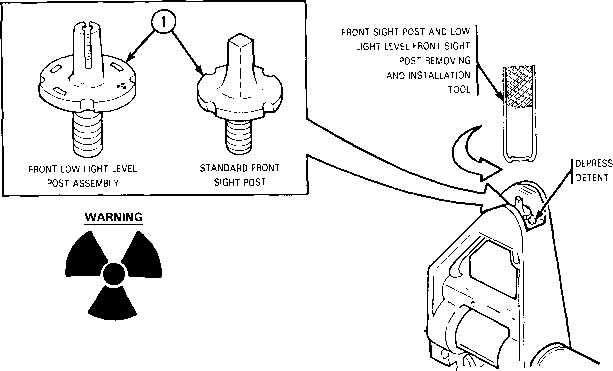 If a radioactive low light level sight is installed and if it has been damaged, see warning page and Chapter 2, Section V.
If weapon is equipped with low light level front post assembly, see page 4-2 for usable life and maintenance. 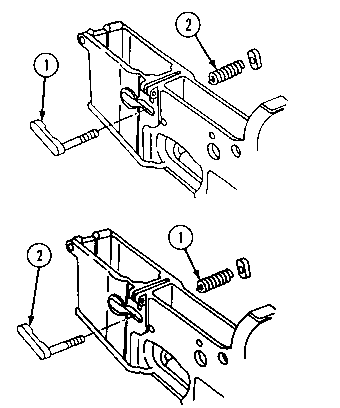 Remove front sight post (1) using appropriate end of fabricated tool. 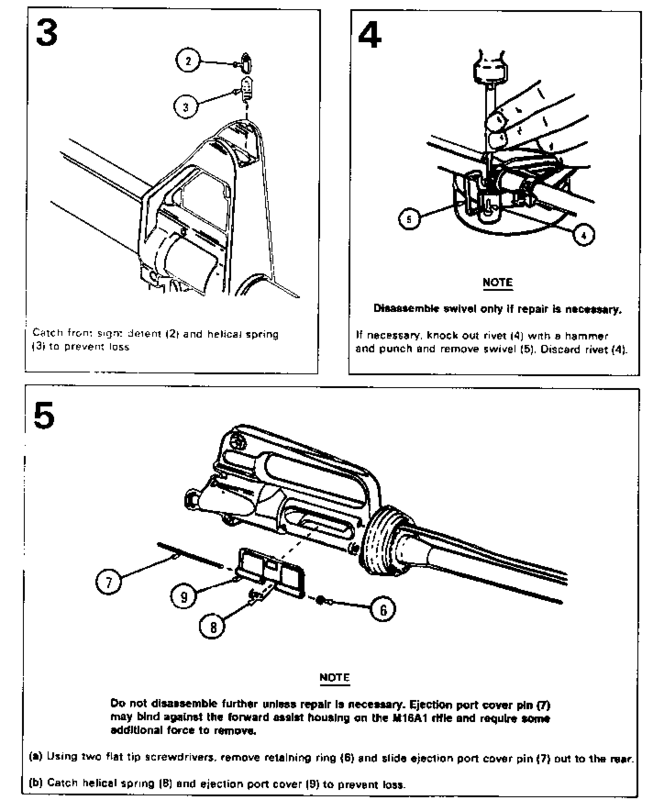 For touch up of M16/M16A1 Rifle, see page 2-22. 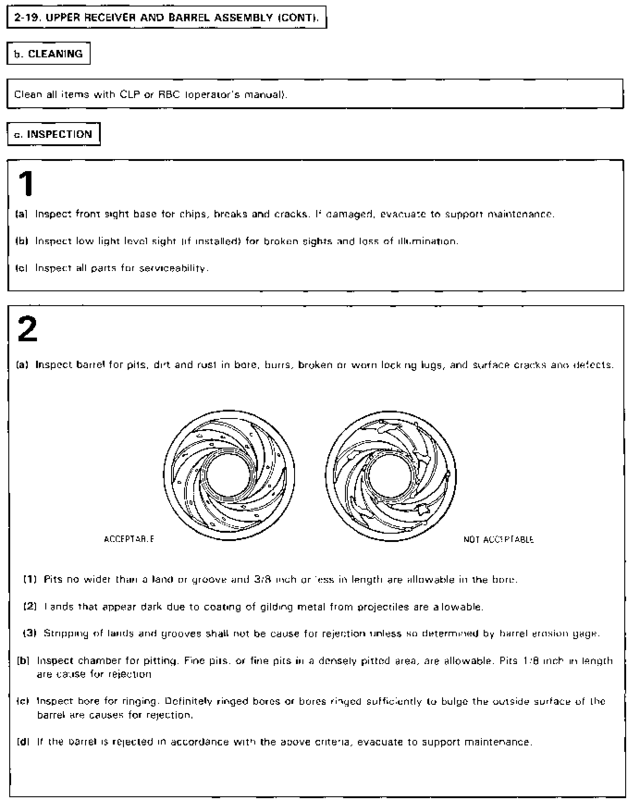 Replace all authorized unserviceable parts. If repair is not authorized at this level, evacuate to direct support maintenance.